2017 Teen Choice Awards Photos, News, and Videos | Just Jared Jr.
Jake Paul had one of the best weekends ever! The digital influencer not only hosted the inaugural Teen Fest ahead of the 2017 Teen Choice Awards, Jake also got to perform on stage with Team 10 just before picking up a surfboard at the event. “Winning 2/2 Teen Choice Awards can only be cooler if your bro wins 2 as well… LOGANG PAULERS ARE OUT HERE… thank you all so much… this is just the story of our crazy journey,” Jake shared on Instagram later that night. Jake also addressed the negativity that’s been following him since leaving Bizaardvark earlier last month. Check out Jake‘s speeches and performances below! Lili Reinhart and the Riverdale cast took home so many awards at the 2017 Teen Choice Awards last night — but it wasn’t all smooth-sailing. The actress took to Twitter yesterday evening to share the details of her stressful wardrobe malfunction! “The waist-band of my dress was held together by two strings and one of them completely ripped as I was being zipped up,” the 20-year-old actress wrote, adding a hilarious gif. She looked stunning, and we would never have known! We all know that Zara Larsson has the hottest boyfriend ever — model Brian H. Whittaker — and we know she met him through social media. Now, the Swedish singer is opening up about how the two connected online after sending him a saucy tweet. Zara adds that that was pretty much all it took for the two to head towards coupledom. Zara is also pictured below at the 2017 Teen Choice Awards held at USC’s Galen Center on Sunday (August 13) in Los Angeles, where she performed with Clean Bandit. Landry Bender shines in a silver mini dress at the 2017 Teen Choice Awards held at USC’s Galen Center on Sunday (August 13) in Los Angeles. The former Best Friends Whenever star caught up with her former co-star and friend Ricky Garcia, and Asher Angel later on in the night at Backstage Creations’ Celebrity Retreat after the show. 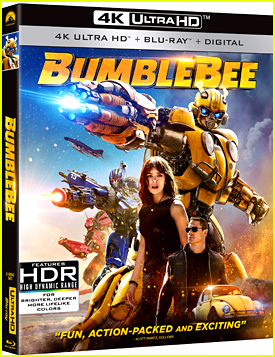 They checked out 1MORE headphones, Hanazuki brand from Hasbro, and Darren Campo’s Stingers. Also pictured at the annual event were Chandler Kinney, Alyssa Jirrels, One Day at a Time star Isabella Gomez, Alyson Stoner, singer Leroy Sanchez, dancer Kida the Great, and athletes Chloe Kim and Amy Purdy. Digital influencers Trevor Moran, Jordan Doww, Gigi Gorgeous, Carson Lueders, and Tessa Brooks were also seen on the blue carpet. FYI: Alyson wore a Molly Goddard top, Maison Margiela pants and Kendall & Kylie heels. Alyssa wore a Maje dress, Beth Miller Collection rings and BCBG clutch. Jordan wore a French Connection shirt and custom Raad Kerr jacket. 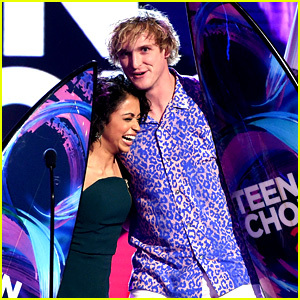 Liza Koshy and Logan Paul accept their awards live on stage at the 2017 Teen Choice Awards held at USC’s Galen Center on Sunday (August 13) in Los Angeles. The stars won the awards for Choice Female Web Star and Choice Male Web Star, respectively. Both Liza and Logan were also presenters during the show! FYI: Liza is wearing an alice + olivia dress, Ade Samuel shoes, and a Vince Camuto clutch on the carpet. She’s wearing a Luiciana Balderrama suit and Loriblu shoes on stage. She’s also wearing a Roseark bracelet and rings and Kendra Scott rings. 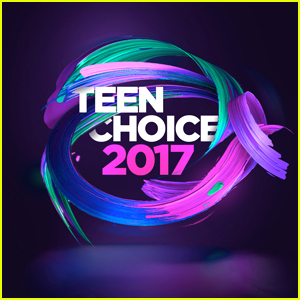 It was a huge night featuring the best in everything at the 2017 Teen Choice Awards and now the full winners list has been revealed! There are so many awards that only a fraction of them were actually announced during the show, so fans had to wait until the rest were announced online to find out if their favorites won. Riverdale was one of the big winners of the night with seven awards, even beating out Pretty Little Liars for Choice Drama TV Show. We can’t wait to find out who wins all the awards next year!